Kilchoman is the first new distillery to be built on Islay in 124 years starting up in 2005. Kilchoman is one of the few distilleries to practice on-site floor malting and in fact carries out all aspects of production on Islay which is more or less unique in this age of big whisky business. Though relatively new, Kilchoman is focused on premium quality and boasts a typically Islay coastal profile with peat levels similar to those of Talisker on the Isle of Skye. 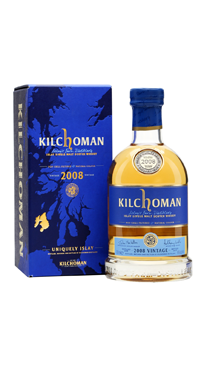 So far, Kilchoman’s offerings have shown a subtle side of Islay with plenty of depth and class beyond just peat power. Critical praise has been near universal and many eagerly await some older expressions to be released anticipating that Kilchoman is destined to become a top tier distillery in time.